PHOENIX – Hand-to-hand combat. Pepper-spray. Mountain trails. Valeria Cazares endured it all during her time at the Detention Officer Academy in Phoenix. Even getting pepper-sprayed in the face was worth it, she said. 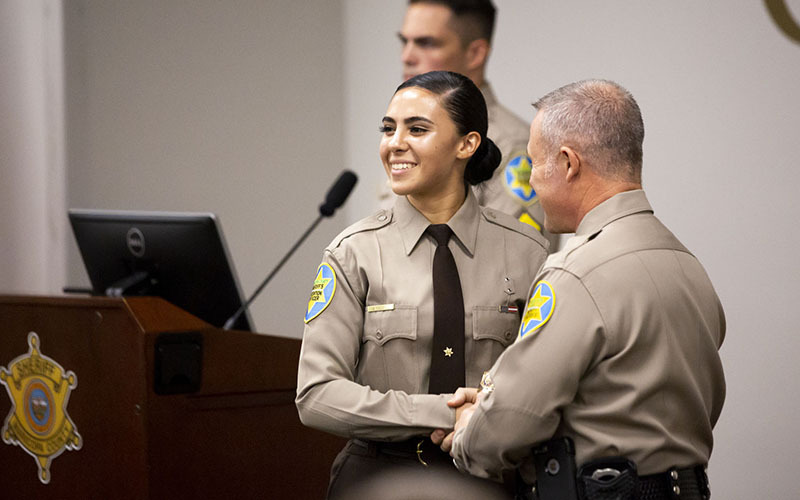 In August, weeks after training ended, she and 15 other graduates of the academy joined nearly 1,600 detention officers who work in Maricopa County jails. Cazares and other Spanish-speaking officers are part of the Maricopa County Sheriff’s Office’s efforts to diversify its ranks. About 35 percent of detention officers are Hispanic, according to MCSO, but it did not provide information on how many of its detention officers speak Spanish. 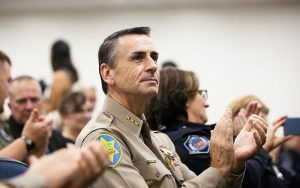 Barry Roska, executive chief of custody for MCSO, said Spanish-speaking officers make it easier to communicate with inmates who don’t speak English well. Cazares, who had considered joining the military before deciding on the sheriff’s office, said some have questioned whether she, as a Latina, should work with an agency that has had a troubled relationship with the Hispanic community for decades under former Sheriff Joe Arpaio. Cazares said she can make a difference and help the Latino community. And Roska said the sheriff’s office still wants more detention officers like Cazares – it still has 251 positions to fill.